We here at COMPAREDADA give you the collection of Top Ten Credit Cards to apply in India for 2017 in terms of benefits, discounts and cashback. A credit card can come handy any moment of your life. Let aside the fact that you are a business man or a mere salary drawing employee its a must. Credit cards often under the impression that promote expenses. But under speculated usage they become a spearhead in terms of returns. Not only they substitute the emergency funds but also act as plastic currency when you actually have none. We here at COMPAREDADA understand the vitality of owning a good credit card. Hence we bring you the Top Ten credit cards for 2017 which include a few famous names and a few underrated cards that can completely change the game. SBI is one of the leading public bank in india and giving tough competition to its competitors in the credit card service also. It also comes with a number of offers for spending on departmental stores, grocery and dining. Fee Waiver – There is no way to waived off annual fee or renewal fee. But on the issuance of card you get a gift voucher of worth Rs. 5000 same as the amount of annual fee. Earn 10,000 bonus reward points on achieving annual spends of Rs 3 lakhs and 4 lakhs in addition to 15,000 bonus reward points on achieving annual spends of Rs 5 lakhs and 8 lakhs. 2.5% fuel surcharge waiver across all petrol pumps maximum up to Rs. 250 subjective to transaction from Rs.500 to Rs.4000. Also pay your card outstanding with reward points. As you notice the annual fee of SBI elite is Rs.5000 that is preety much higher than the credit cards. 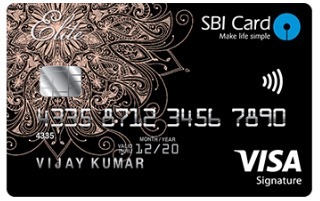 Due to that reason this card is best for those, whose annual spend is more than 5 lakh. Because on spending more than Rs.5 lakh you get 25,000 bonus reward points ( 10,000 on spending Rs.3 lakh and additional 15,000 on spending total of Rs.5 lakh) that become on redemption 25000 points= Rs. 6250, more than your annual fee. This is only bonus reward points, with that you also get regular rewards points. American express gold card is the most popular credit card of the amex. Gold card offers 1000 bonus points every month on making 4 transactions of Rs.1000 or above. This bonus points is the main reason of its popularity among the amex cards. Annual Fee Onwards From Second Year – Rs. 4500. Fee Waiver – You get 4,000 bonus reward points whose worth is Rs.1000 equal to the first year annual fee. 4,000 Bonus Rewards Points, to be awarded on using the Card 3 times within the first 60 days of issuance of card. Earn 1,000 Bonus Membership Rewards Points for simply using your Card 4 times on transactions of Rs. 1,000 and above every month. Earn 5,000 reward points on the renewal of card. Earn 1 Rewards Point per Rs.50 spent except for spend at Fuel, Insurance, Utilities and Cash Transactions. Get up to 30% discount and additional 5% cashback at over 1200 restaurants that are linked with the american express. The worth of reward points is 100 points = Rs.25. 1200 restaurants are located in the big cities of the country. Simply Amex points. The prime reason is the amex points you get on low end spending. And also if you are a foodie this card is the best for you! Also investing in gold is plus point with this card. Undoubtedly the best Credit Card for travel. If you are regular traveler along with doing transactions online then Citi premiermiles credit card is one of the best card for you. This card gives rewards in the form of miles that you can redeem a over a 100 domestic and international airlines. Fee Waiver – Annual fees will not waived off. But if you spend Rs.1000 with your card within the 60 days you will get 10,000 miles. You can redeem that miles at citibank’s preferred partner. The value of these miles is 10,000= Rs. 4500, Rs.1500 more than annual fee. Surely the card is best for a regular traveler. Because you can get 10% rewards miles for your spend. it is more useful if you spend on flipkart for shopping and makemytrip for booking, . This card offers 10 miles per Rs.100 you spend with this. If you redeem miles at preferred partners you get Rs.4.5 per Rs 100. Is short, 4.5% of reward points, such a big discount. 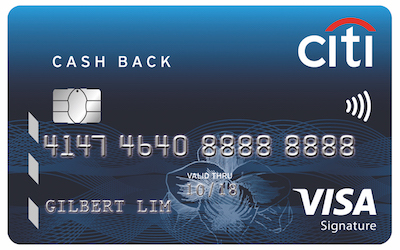 Citibank cash credit cards gives you 5% cashback on utility payments and also movie tickets. But there is no benefit for fuel spends, you have to apply for IOC card separately to get benefits on fuel. Also 0.5% cashback on all other spends. Cash back in the Telephone / Movies / Utility category is capped at Rs.100 per month surely for each category. If your monthly expense of telephone/ movies/ bill payment is around Rs 2000 each then it best for you. You can save around Rs.300 per month in addition to 0.5% cashback on all other spends. Fuel expenditure is beneficial if clubbed together with IOC. Get your Citi Credit card now! IndianOil citi platinum credit card is one of the famous card for maximum benefits on fuel. Surely the best one in its class. It gives 4 turbo points per Rs. 150 on fuel, one turbo point is equal to Rs.1 fuel. That means benefit of 2.67% + you will get waiver on 2.5% of surcharge on fuel. Fee Waiver – On spending atleast Rs 30,000 per annum. The fuel benefit is applicable on Indian oil’s outlets so you should apply only if you fill fuel at the Indian oil outlets. Standard chartered super value titanium credit card is the best credit card that gives 5% cashback at spending money on fuel in India. It also gives 5% cashback on utility and telephone bill payments. No other card offers such types of benefits. Annual Fee Onward From Second Year – Rs.750. Fee Waiver – Firstly call customer care to check if they waive the annual fee. Minimum transaction amount for cashback eligibility is Rs.750. Maximum cashback per month is Rs.500. A very unique card in terms of the benefits. No other card provides such and in addition to that high reward point value. Apply for Standard chartered super value titanium credit card. Simply Click Credit Card is third best credit card in India for people who want no annual fees credit card. There is small annual fees that will be waived off if you spend 1L amount per year from the date of approval. If you love to shop online then you will find a lot of offers from Amazon, Flipkart, Makemytrip, Cleartrip and many more vendors. The details have been provided in key benefits. Best card for online shoppers. Great value for vouchers and attractive cashback on internet purchases. Get SBI Simply Click Credit Card here! ICICI offers a simple credit card without any annual fees. If your application got rejected for Standard Chartered Platinum Credit Card then you can consider applying for ICICI Instant Platinum Credit Card. You will not have any credit history and score if you have never availed any loan from bank. The good news is that you will start building your credit history after regular use of credit card. If you got rejected for ICICI card then don’t apply for any other card. Your CIBIL report will get impacted negatively. You must get a credit card against Fixed Deposit by visiting your bank branch. ICICI credit card is a good option for Students, Housewives and Non-Salary people if they want to apply for credit card against a Fixed Deposit. If you worry for your CIBIL score just because you want to apply for a credit card, you must try ICICI Instant Platinum Credit Card. Get your ICICI Platinum Credit Card here. No annual fees or joining fees for Standard Chartered Platinum Rewards credit card. Probably a good replacement or starter credit card. You can get it easily with no fees at all. Later you can upgrade to a better card from the same bank Standard Chartered. Good way to avoid maintenance fees and later upgrading to a better one. This card also provides good benefits and extremely preferable first credit card. Salaried people who want to own all rounder credit card without paying annual fees. You have high chance of approval of Platinum card if you are a salaried employee. You can request for upgrade to Manhattan card whenever you need in the future (approval based on your salary & credit card usage). Apply for the Platinum rewards card right now! Surely the best credit card for 2016-17 period. Remarkable benefits and extremely valuable for salary holders. Primary purpose of using standard chartered Manhattan card is 5% cashback on grocery in supermarkets.Good for someone who spends around 6000 rupees every month on groceries. If you usually make bills around 3000, get straight 150 rupees into your account as cashback. It’s real cash without any hidden clause. You can earn maximum of 6000 rupees per year and use to pay the bill of your credit card. Annual Fee Waiver – Reach customer care to avail a waiver. Probably your goto credit card if your annual spending is moderate. For first time credit card applicants whose salary is above 6 lakh per annual, Standard Chartered Manhattan would be most valuable. You can directly Apply for SCB Manhattan credit card by clicking here. All Hail King Suyash: Indian Guy Claims A Land That Belongs To No Country!